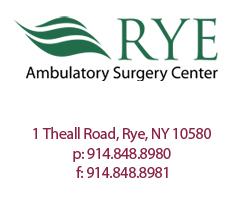 When you have a procedure at The Rye Ambulatory Surgery Center (Rye ASC), you (or your insurance company) will receive more than one bill. In addition, you may receive laboratory, radiology or pathology services (sometimes referred to as “ancillary services”) in connection with your surgery. Rye ASC’s bill will include both the ASC facility fee and the fee for the anesthesiologist’s services. The surgeon’s services will be billed by WESTMED Medical Group if the surgeon is a member of the Group. Non-WESTMED surgeons having privileges at Rye ASC do their own billing. In many cases, WESTMED will provide the laboratory, radiology or pathology services you need. WESTMED will generate a separate bill for these services.